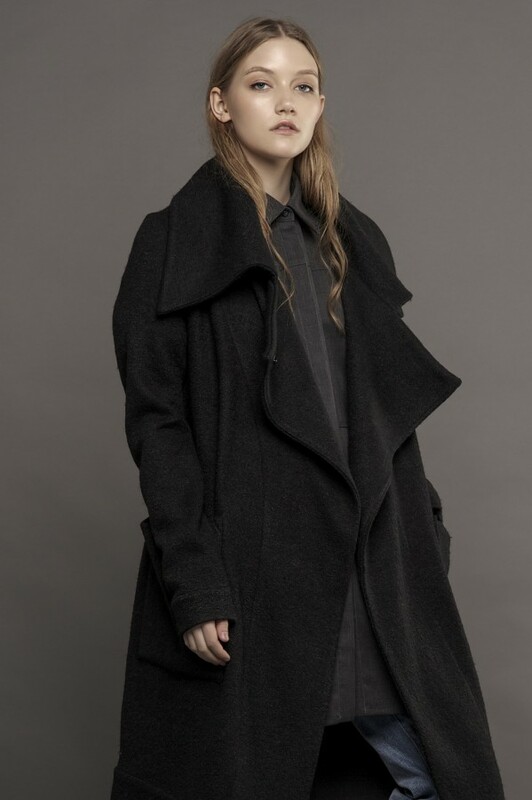 Tailored to perfection, this black design is made from soft wool and viscose blend. 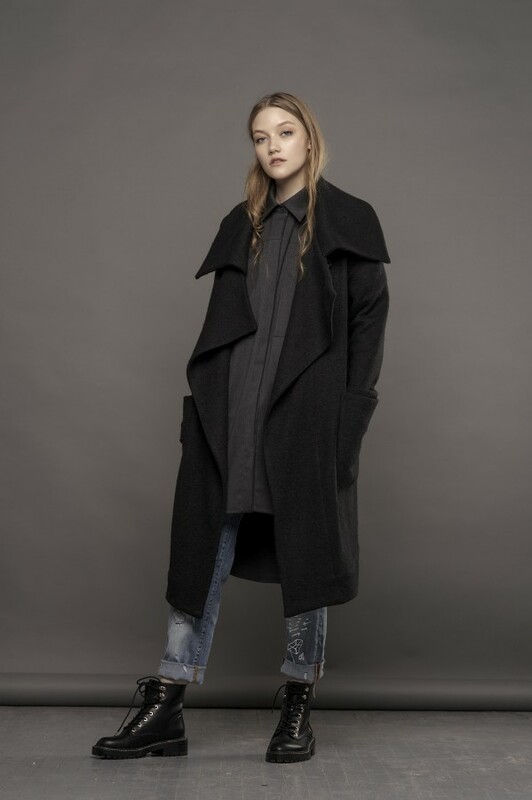 The coat has a relaxed silhouette and is finished with oversized lapels. 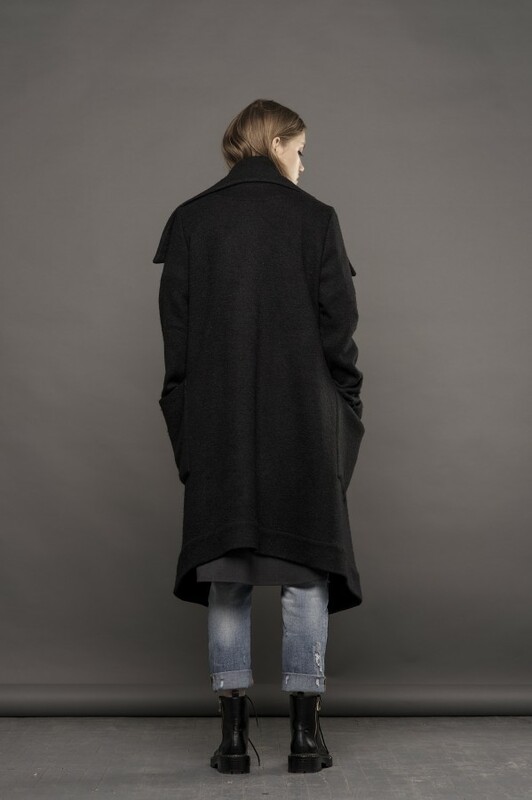 Features prolonged sleeves and side pockets.